Virtual reality has moved from science fiction to marketable consumer product astonishingly quickly, partly because the incorporation of the smartphone into the technology makes it accessible, if not ubiquitous. It’s looking more and more like those who bet that virtual reality is here to stay, and not a flash-in-the-pan trend, made the smart bet. But what about in healthcare? Could a technology primarily associated with gaming turn out to be a serious therapeutic tool? Well, a growing number of doctors, researchers, and entrepreneurs think it can. Some are even starting to collect efficacy data to that effect. In May, Kalorama reported that the virtual and augmented reality market in healthcare grew from $525 million in 2012 to an estimated $976 million in 2017. Virtual reality is showing promise in treating pain, phobias, post-traumatic stress disorder, smoking cessation, and even at the dentist’s office. Below, we’ve rounded up 15 VR use cases, the companies or research institutions that are investigating them, and the successes they’ve had so far. Read on for the whole list. As far as medical understanding and technological advancements have come, educating current and prospective doctors is still largely done the old-fashioned way: books, tests, pens and paper. Virtual reality enthusiasts aren’t standing for it, especially when it comes to training medical professionals for surgery. Fed up with the almost comical-sounding current method of surgical training, – which take place at a few specialized centers around the country and requires the use of expensive artificial body parts – a few innovators are offering a new option. 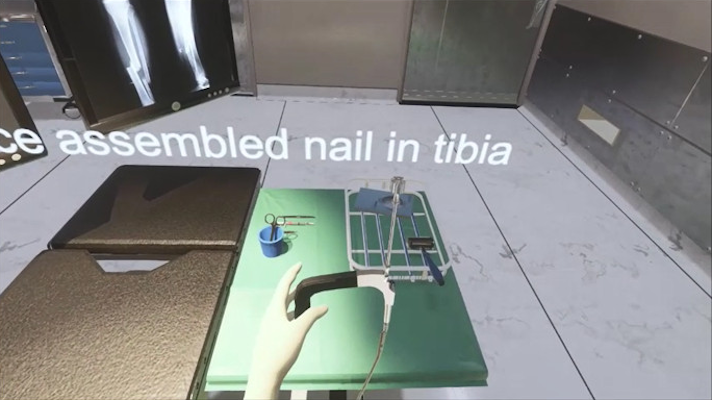 Osso VR, which just raised $2 million, provides software that creates a virtual operating room on VR platforms like Oculus Rift/Touch or the HTC Vive. Practicing surgeries in virtual reality allows surgeons to get in more reps, particularly on complicated procedures. Chicago-based Level EX is another surgical training innovator. Airway EX, the company’s first app, is a surgical training simulator built by video game developers and physicians from real footage of surgeries. It was launched in beta in October 2016 and available for free on iOS and Android, and the app offers physicians the opportunity to perform virtual airway surgery on realistic patients – which are detailed down to their pores – across 18 different procedures on the airway. The game is designed for anesthesiologists, otolaryngologists, critical care specialists, emergency room physicians and pulmonologists. Along the way, they can earn Continuing Medical Education credit by playing the game. The idea came to CEO Sam Glassenberg after realizing there was a dearth of surgical simulation centers around the country, and that the simulators lacked the sophisticated graphics and video he saw in the video game industry. Glassenberg, a game developer who comes from a family of doctors and has many friends in medicine, had also been asked several times to help build surgical training programs. Additionally, the availability of the app means surgeons can really explore in ways they otherwise couldn’t with traditional training modes. Probably the virtual reality use case we’ve covered the most at MobiHealthNews is pain management, specifically Cedars Sinai’s virtual reality program, headed up by Dr. Brennan Spiegel. As Cedars Sinai, patients use virtual reality to escape the “bio-psycho-social jail cell”, as Spiegel calls it, of the hospital bed. Using apps made by Applied VR, they have deployed VR headsets to a number of patients to help them manage pain. In a small controlled study, the VR technology was able to drop patients’ average self-reported pain scores from a 5.4 to a 4.1. A 2D distraction experience in the control group only dropped that score to 4.8. And there’s some evidence that, by noting whether the headset helps or not, the technology could be used to help determine when pain is a result of something in the body or purely mental. You can read more about Spiegel’s efforts at Cedars Sinai here and here. 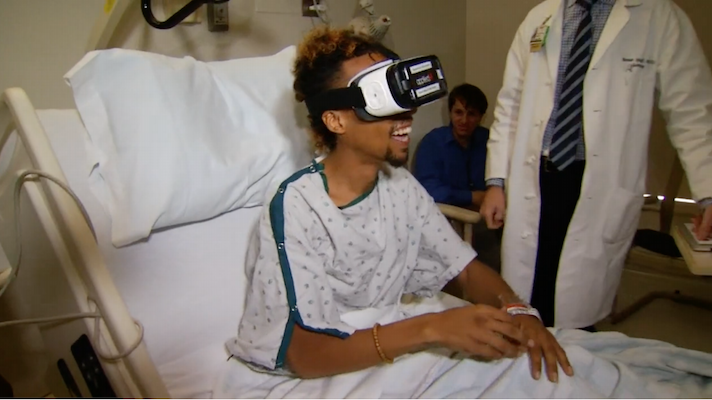 Pain management is just one area where Cedars Sinai is exploring virtual reality. The hospital is also partnering with Holman United Methodist Church in south LA on a community health education initiative aimed at reducing hypertension in a vulnerable population. The education initiative is much bigger than VR. But the VR aspect is interesting. Members of the Holman congregation used a VR program that takes users into a virtual kitchen where foods are labelled with their sodium content. It then takes them inside the body for a visualization of what hypertension does to the heart. Finally, Cedars-Sinai and Holman UMC created a relaxation app to help congregants deal with stress, which also contributes to hypertension. Holman Pastor Rev. Kevin Sauls narrates the guided meditation in the app. Another virtual reality company, BioLucid, also uses VR for patient education, designing virtual tours of the human body. BioLucid was recently acquired by digital health M&A juggernaut Sharecare. Gone are the days where text books and two dimensional anatomical images are the only way for physicians to learn about common afflictions. Salix Pharmaceuticals, a New Jersey-based drug development company that focuses on gastrointestinal conditions, developed an interactive virtual reality platform to guide clinicians through an open-minded approach to treatment, which can be difficult to pin down due to the mysterious etiology of IBS. In an educational voyage up close and personal with the GI tract, Salix will guide healthcare providers through the numerous theories floating around on the potential causes of IBS, including changes in the gut-brain axis, an imbalance in the gut microbiome, hypersensitivity to pain signals in the intestinal wall, or a chronic imbalance set off by a temporary gastrointestinal bug. “As a gastroenterologist who treats conditions like IBS on a daily basis, I believe this virtual reality experience will move GI treatment forward by helping healthcare professionals better understand this complex condition,” Dr. Brooks Cash, one of Salix’s gastroenterology advisors, chief of gastroenterology and director of the Gastroenterology Physiology Lab at the University of South Alabama Digestive Health Center, said in a statement. A few years ago, the Microsoft Kinect and similar 3D motion tracking cameras were set to revolutionize physical therapy. By tracking and gamifying movement, the Kinect could be used to send patients home with exercises, motivate them to do those exercises, and collect hard data on things like range of motion. VIrtual reality enhances that capability even further. 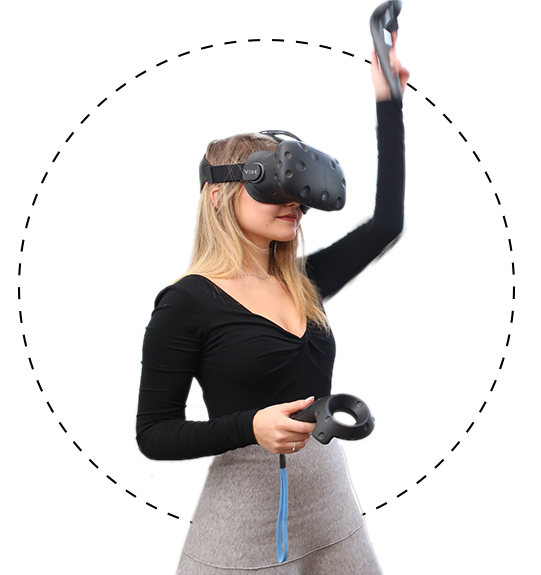 VRPhysio is a Boston-based company that offers immersive, interactive virtual reality environments that trick patients into doing physical therapy exercises without even knowing it. For instance, one game puts virtual swords in the patients’ hands and asks them to slice through a line of targets that appear on the screen. To accomplish that goal, the patient will necessarily test out the range of motion in their shoulders. Another gives patients an always-on water cannon that shoots in the direction their head is pointed, then instructs them to fill a moving barrel — all the while taking their neck through a full range of movement. On the backend, a physical therapist can see data collected through the device and can change the parameters of the game on the fly in order to guide the patient to the most beneficial exercise. Another company, MindMaze, is using VR for stroke recovery. For stroke victims who have lost the use of the left hand but retain the use of the right, for instance, the computer will project a virtual reality depiction of the nonfunctional left hand, which is controlled by the patient’s movement of the working right hand. This can trick the brain into kickstarting the functionality of the other hand. That functionality doesn’t use the mask, but another MindMaze product, called Mask, does. Mask is a thin sensor that can be worn with a VR headset. It can detect the user’s facial expressions and map them onto an in-game avatar. “If you go into, say, the autism spectrum or other aspects of social interactions, you can imagine a scenario where a patient is controlling something and you’re able to emote,” CEO Tej Tadi told MobiHealthNews. “It’s helpful in a therapeutic context, but also as a true clinical monitor for other kinds of deficits, not necessarily stroke. The Mask is designed to capture emotions either for therapeutic effect or just for consumer gameplay. It just works on both metrics.